Hi Simple Stories fans! 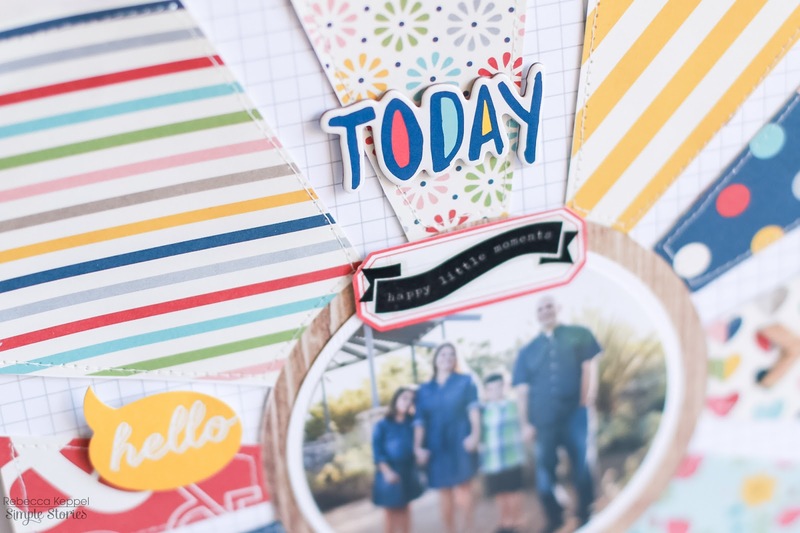 Rebecca here today to share my latest absolute favorite Simple Stories Collection - Life Documented. 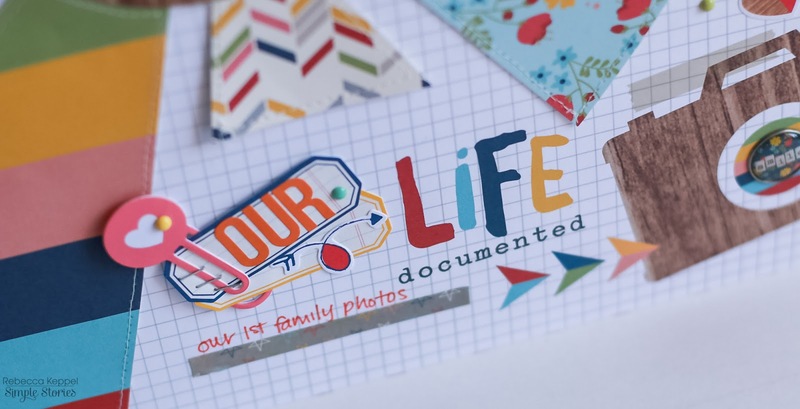 Life Documented is one of those incredibly versatile collections that once you see it, you will want to use it on everything in your life. Layouts, cards, SN@P albums, planners, pocket page spreads and more! 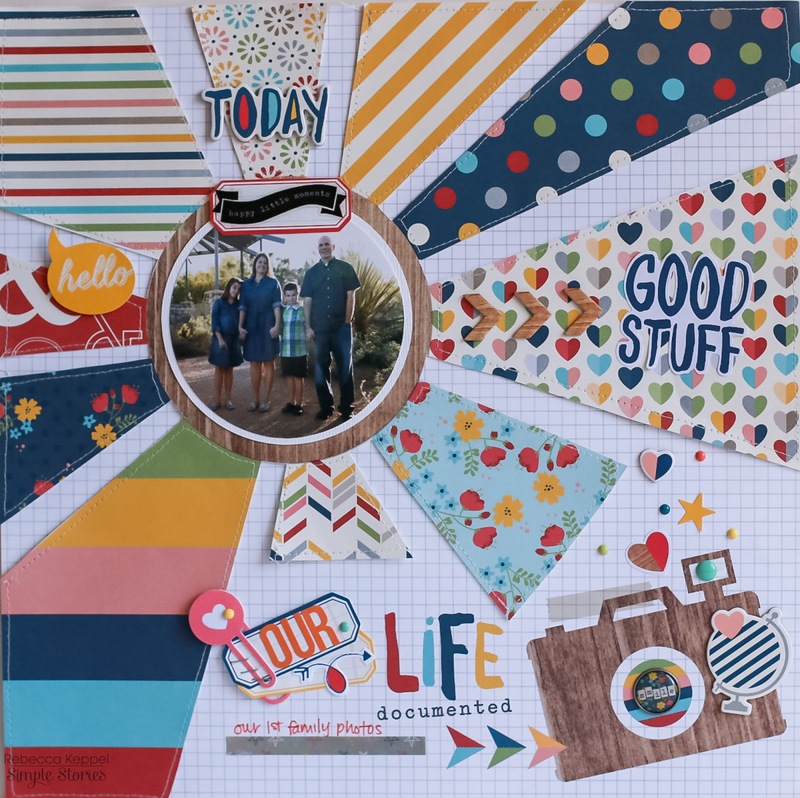 Today I am here to share 2 layouts, but believe me, I will be back soon with many more projects featuring this fabulous collection. It has everything you need in one all encompassing collection. Seriously! Rainbows, grids, floral, hearts, arrows, stripes, ampersands. And the colors?! Navy and white, cream and wood grain as the neutrals, with pops of brights. I LOVE LOVE LOVE this collection. Of course the bits and pieces are always a personal favorite of mine, but new to Simple Stories for Life Documented are clips. 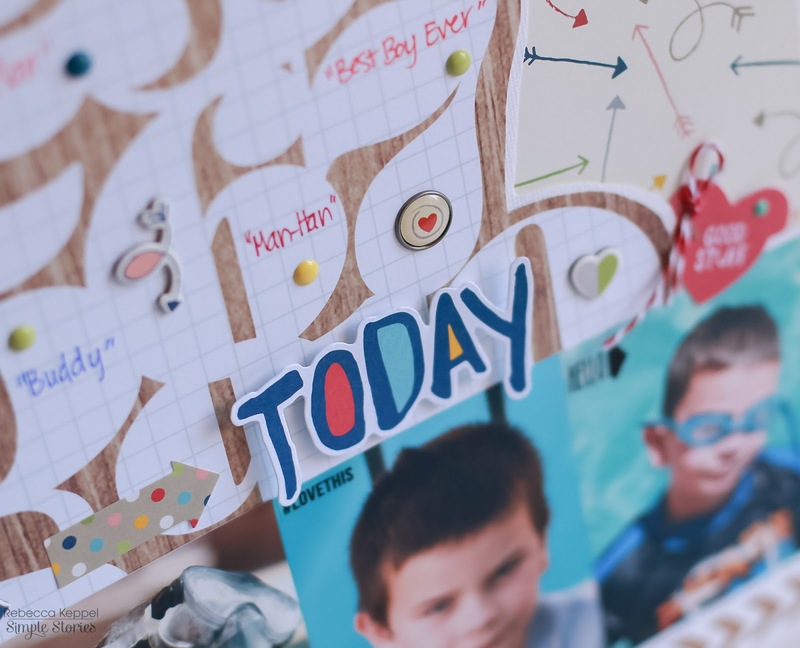 Perfect for planners or layouts! 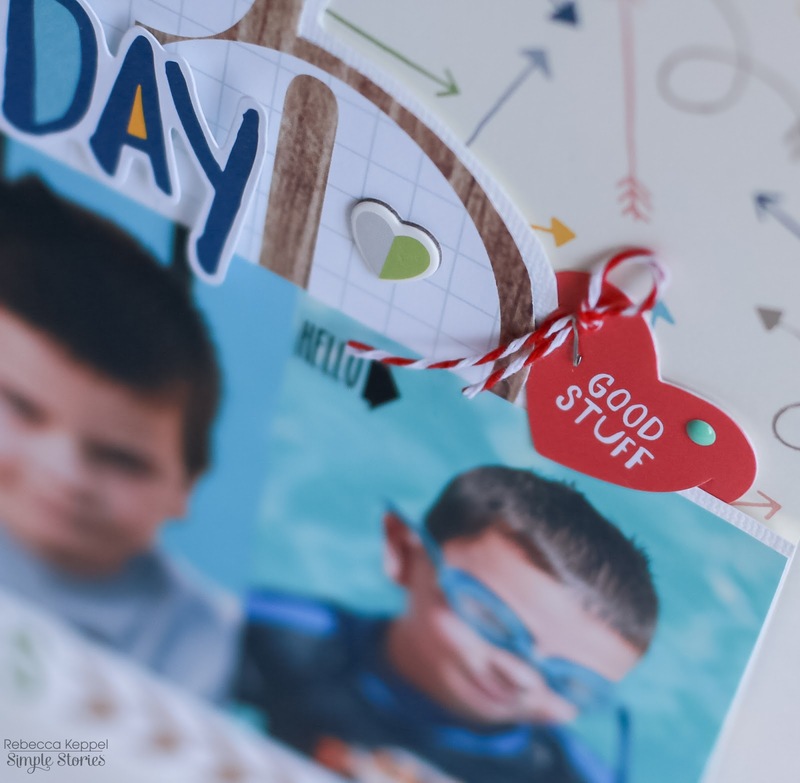 The clear stickers in white or black layer well over photos or over die cuts. 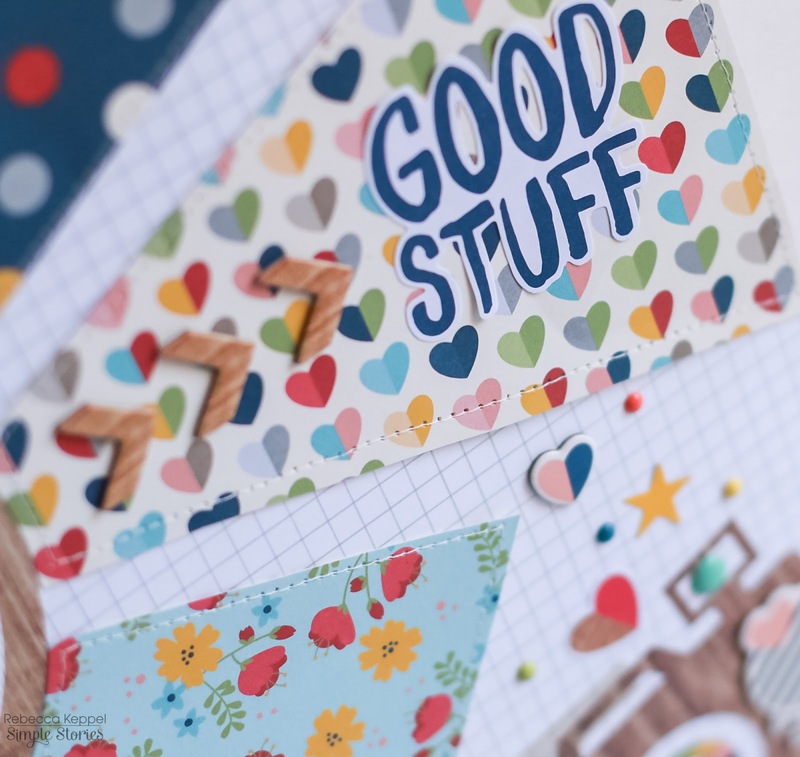 Chipboard stickers and epoxy dots are perfection in this collection. I couldn't stop at one layout. 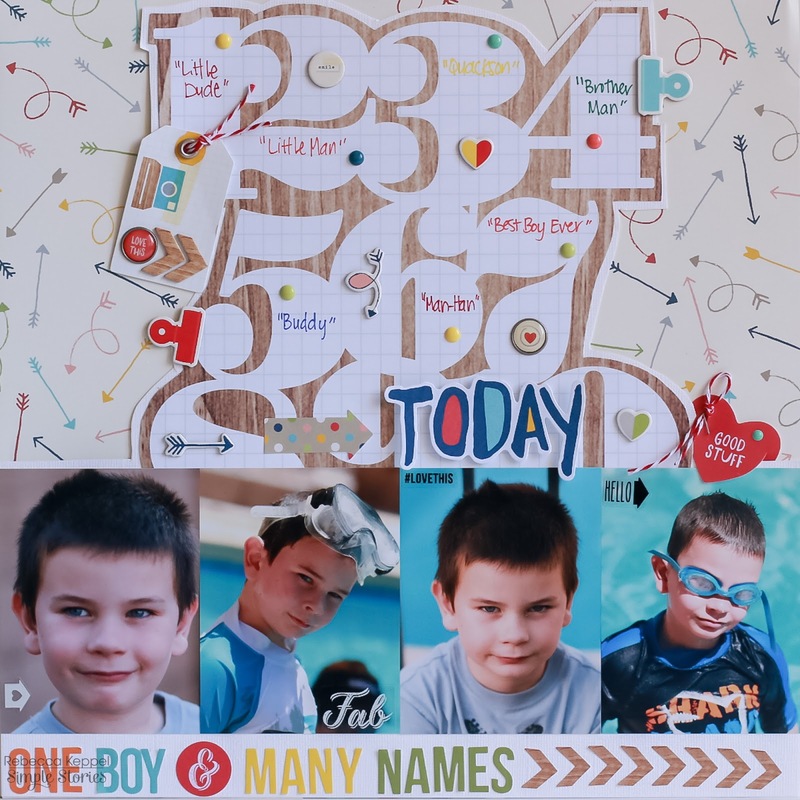 The large numbers are from a 12x12 patterned paper. I mounted them on white cardstock and cut around for a large die cut piece in the middle of this layout. Another new favorite? Bradz! They are self adhesive and you dont have to wrestle with wings anymore! I used to cut my wings off and adhere to my layouts, so having the work done for me is awesome! 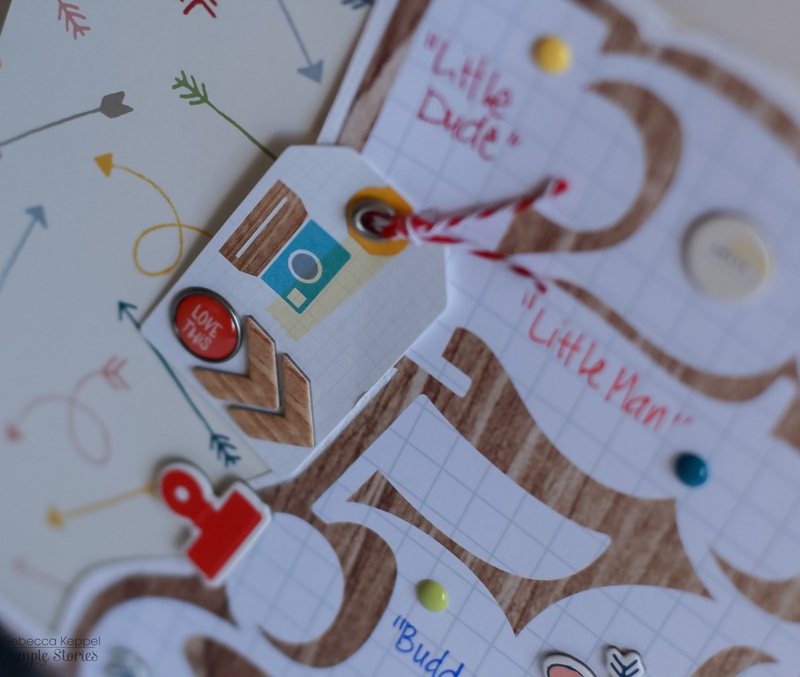 I love combining all the fun embellishments like on this die cut tag with a Bradz and chipboard sticker. And I can't get over the cuteness of the clips. I hope I don't use them all up on layouts, because I wanted to save some for my planner! I can't say it enough! I love every little bit and piece of this amazing collection! Happy documenting! seriously loving the colorfulness of each of these pages! Your layouts are soooooo fun! I love all the colors and the feeling of movement on them!! !